I’ve had Trust Agents for a while and have just now had a break from other books to get it read. And boy, am I glad I did. What I enjoyed about this book, compared to other books about social media, is that the authors didn’t talk about specific platforms, i.e. Facebook, Twitter…since specific platforms may come and go over time. They created a timeless book by focusing on how organizations can get the most out of social networking by building Trust Agents, or networks of influence. This strategy is at the heart of leveraging social media for business. Trust Agents has been widely acclaimed for its new approach toonline marketing. 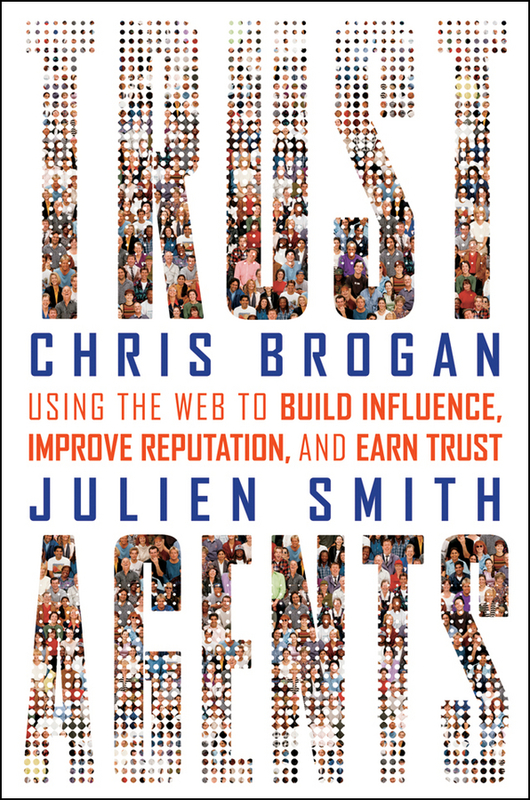 Now, in this revised and updated edition, social media veterans Chris Broganand Julien Smith show you how to tap into the power of social networks to build your brand’sinfluence, reputation, and profits. Combining high-level theory and practical advice, they deliveractionable strategies and real case studies that show how social media can positively impact your business. Let Trust Agents give you the keys to building customer loyalty online so your business can succeed in new markets and channels today! Have you read Trust Agents? What did you take away from the book? Previous post: Are you taking advantage of the “American Dream”?